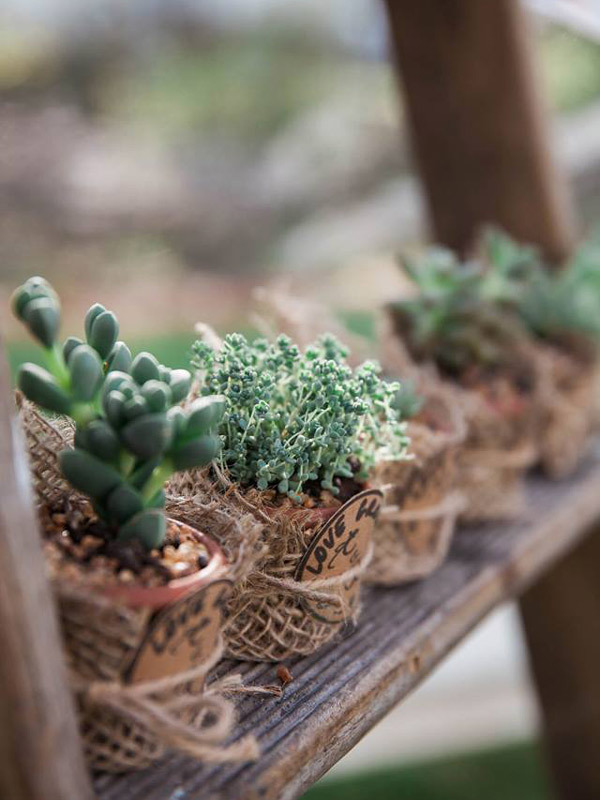 Succulents make the most fantastic wedding favours or Bonbonniere. They are stylish, charming and are something that your guests can take home as a long lasting memory of your special day. They can last for years after your wedding day, and can serve as a lifetime reminder of your marriage. They are suited to indoor and outdoor wedding receptions and can be displayed in lovely and inventive ways. 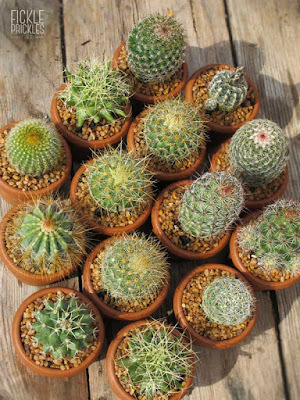 Pots can be painted, covered in hessian or brown paper, or kept ala natural. You can add a lovely tag that says your names and a date, or a simple thank you message. They can be used as a name placeholder for each seat at a table. Tags can be tied on with twine or raffia, or simply placed on a stick and made to look like a flag. For wonderful succulent wedding favour inspiration and ideas, head on over to our pinterest board: Succulent Wedding Ideas. 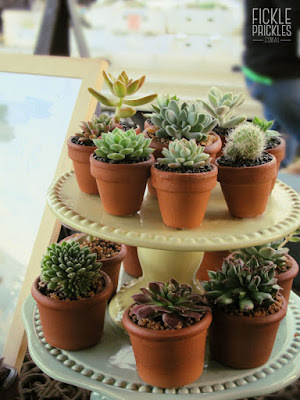 Succulent wedding favours displayed on a tiered cake stand. 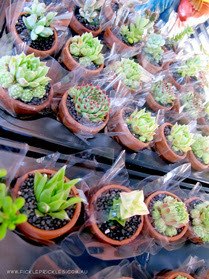 Mini succulent wedding favours with table placeholders. Cacti wedding favours in terracotta pots. Our favours dressed up in hessian and a cute label. Succulent wedding favours in our yellow pots. 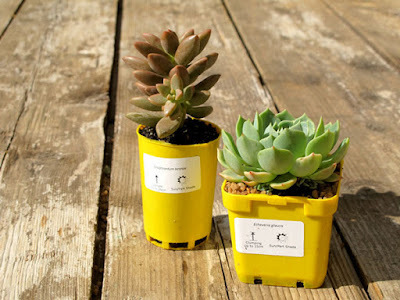 Dress these up with hessian or lace for a budget friendly gift. 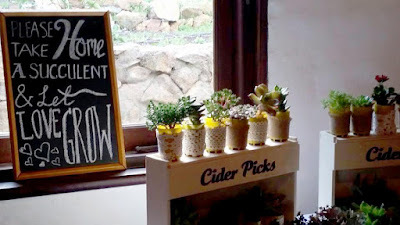 Succulent wedding favours dressed up with lace and a beautiful chalkboard sign. To enquire about succulent favours for your wedding or event in Western Australia, please contact us at sales@fickleprickles.com.au. 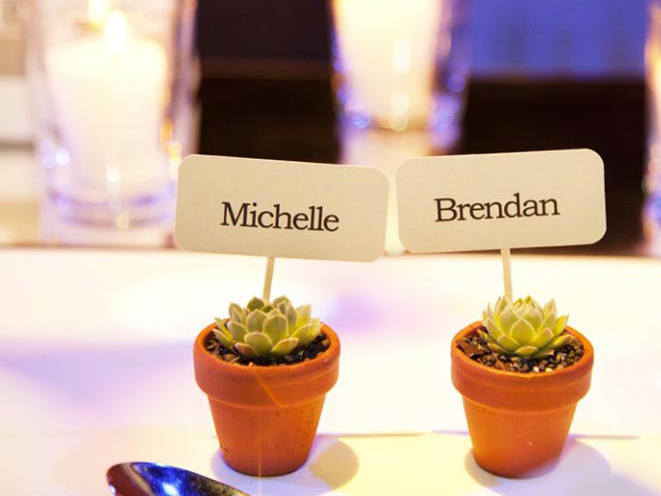 Thanks for sharing this information on wedding favours. Couple of months ago, I decorated my best friend’s engagement party venue with amazing flowers. It was one of the finest NYC venues and arranged a grand party there for all the guests.